Minimal bivy gear, skeleton rack, skinny rope—the only thing missing from your kit is the Black Diamond Speed 40. 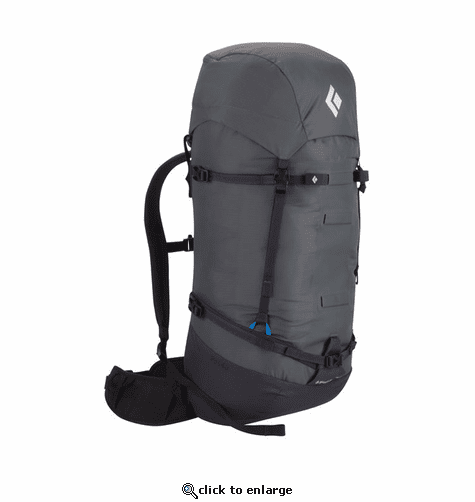 Our strippable, streamlined alpine pack ideal for fast-paced ice and rock missions, the Speed features our reACTIV suspension system and a removable hipbelt, lid and framesheet for a comfortable yet minimalist carry for your on-route essentials. Ice-tool attachments, a tuck-away rope strap and ladder-lock crampon straps secure all your technical gear on the approach.